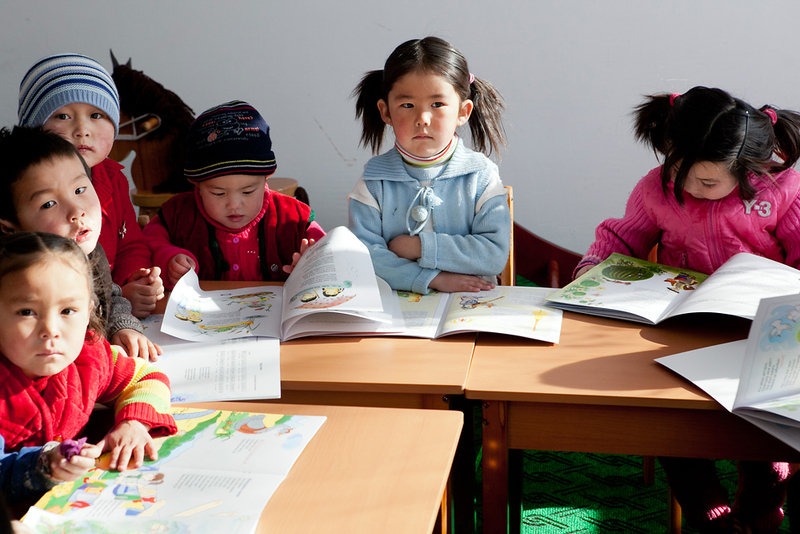 Kyrgyzstan: What Are Kyrgyz Kids Learning? Many parents in Kyrgyzstan are starting to wonder: is schooling still synonymous with education? According to official statistics, literacy among 15-to-24-year-olds in Kyrgyzstan remains high, standing at 99.75 percent. Yet public schools face serious difficulties delivering a quality education, say experts, parents and test scores. Increasingly, parents with the financial means are sending their children to private schools, while the vast majority of students are graduating from high school with only rudimentary reading, math, and foreign language skills. An international, standardized test -- known as the Program for International Student Assessment, or PISA, and administered by the Organization for Economic Cooperation and Development (OECD) -- underscores the challenges facing Kyrgyzstan. Over 80 percent of Kyrgyz 15-year-olds did not meet minimum expectations in literacy, mathematics and science when the PISA was last administered in 2009 in 65 countries. That result placed Kyrgyzstan last among the participants. It was a similar story in 2006, when Kyrgyzstan also placed last. But instead of striving to make improvements, officials in Bishkek have opted out of the upcoming 2012 exam. Though Kyrgyzstan’s absolute PISA scores improved slightly between the 2006 and 2009 exams, Duishon Shamatov, a senior research fellow at the University of Central Asia in Bishkek, says the overall trend is disheartening and the lack of an effective government response is helping to widen the gap between rich and poor. Gulya, a psychologist from Bishkek with a 13-year-old son, is one of the lucky ones with a choice. She has little good to say about her public school option. Next fall, Gulya’s son will enter a private school run by Turks. Most Kyrgyz can’t afford the tuition at such private schools, especially those living in impoverished rural areas where the public schools are among the worst. Indeed, the Turkish schools – the largest network of private schools – accommodate only about 6,200 of Kyrgyzstan’s 1 million schoolchildren. In southern Kyrgyzstan, teacher shortages appear to have been exacerbated by ethnic violence between Kyrgyz and Uzbeks in June 2010. Many teachers, especially qualified ethnic Russians and Uzbeks, have emigrated. Venera Baigalieva’s 10-year-old son goes to one of the most prestigious public schools in Osh, where students must pass an entrance exam. But she is also worried that the exodus of ethnic minorities means he is not getting good instruction. According to an April 2011 World Bank report, considerable expenditures have done little to reform Kyrgyzstan’s education system. The report indicated that a lack of oversight is an issue: “Despite the increased budget allocation and spending on education, the absence of a clear accountability framework and weaknesses in budget management and governance arrangements are causing resources to be spent inefficiently." Most troubling from Motokhina’s viewpoint, low salaries mean that young people are not interested in the teaching profession. In addition, teaching materials are outdated. “For 15 years, schoolteachers and university professors have been teaching students using Soviet-era textbooks and programs, which were of good quality, but designed for planned economies and did not expect or require independent thinking,” Motokhina said.